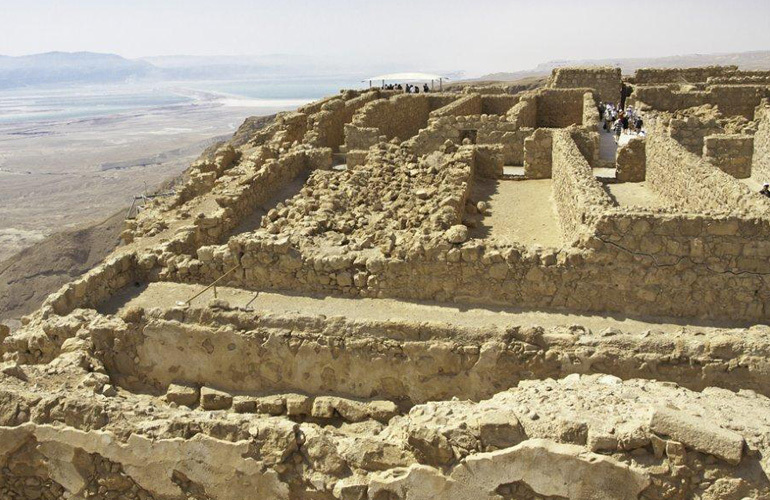 Masada, the ancient fortress at the edge of the Judean Desert, is a must-see for most cruise passengers. We are visiting Israel on a cruise for two days. The ship will stop in Haifa one day and in Ashdod the next. We’d like to leave the ship in Haifa, stay overnight in Jerusalem, then meet the ship again in Ashdod. 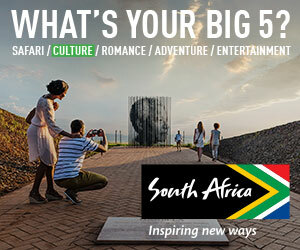 But the overnight-tour options on offer from the cruise line and tour companies are very expensive. Do you have a solution—or a tour guide to recommend? Gene, my mother-in-law had a similar predicament on her Israel cruise last year. And if the solution was good enough for her, I promise it’ll work for you too. I connected her with Joe Yudin of Touring Israel. Joe, who lives in Israel and is a former paratrooper in the Israel Defense Forces and a Ph.D. candidate in Land of Israel Studies, started out as a tour guide and became so popular that he started his own business planning private customized tours. He now has a stable of some of Israel’s best tour guides. Usually cruise ships visiting Israel spend one night in Haifa and one in Ashdod, allowing for three full days of exploring Israel. That allows you to spend one day in the Galilee, one in Jerusalem, and one in the Judean Desert at the Dead Sea. It sounds like you have only two days, though. Jerusalem will require one, so you have a choice: You can either leave the ship in Haifa, see the north of Israel with your guide, then head down to Jerusalem for the night and the next day, or you can zip from Haifa straight to Jerusalem, spend the day there and overnight, then do the Dead Sea the following day before catching up with the ship in Ashdod. “I believe the best use of Gene’s time would be to hire a private guide with a six-passenger van and divide the costs among six passengers. For a day excursion, most private guides in Israel charge almost the same price for one passenger as for six. The better guides with sterling reputations cost a bit more, but be wary of extras: Some guides will charge for “extra mileage” (for more than 200km per day) and/or for “overtime” (for more than 9 hours of touring per day). If you are on a cruise, chances are you will exceed both of these. There will also be an extra charge if the guide sleeps outside of his or her home. Be prepared to spend between $750 and $1,000 per day for a private, expert, honest guide with his or her own vehicle. This rate does not include meals, entrance fees, or a tip for your guide. Split these costs between six people, and you have yourself an amazing deal. If you are traveling alone, you can always search for others willing to do your excursion using the cruise bulletin and message boards. * “Tour Israel’s north from a Jewish Perspective in Safed (Tzfat – where Kabbalah began, a city in the mountains 500 years old with exquisite synagogues from that time and home of a huge artist colony) and then either the Golan Heights (modern military battle sites, wine tasting, amazing views of Syria), or Tzippori (where the Mishna was written, amazing 2nd century mosaics and ruins) and Tel Megiddo (an ancient Israelite city maybe built by King Solomon). From here, back to the ship—or. better yet. straight to Jerusalem. * Tour Israel from a Christian perspective, heading straight to Nazareth to tour the Cave of the Annunciation, the House of the Holy Family, and Mary’s Well, before heading to Cana, where Jesus turned water into wine, the Mt. of Beatitudes where Jesus gave his Sermon on the Mount, Capernaum and the House of St. Peter where Jesus based his Ministry, the 2,000 year old “Jesus Boat” and the Jordan River baptism site and if time permits, Armageddon (Tel Megiddo). From here, back to the ship—or, better yet, straight to Jerusalem. * “Reserve tickets ahead of time (your guide or tour operator can do it months in advance) for the Tower of David Night Spectacular. * Book a table at one of Jerusalem’s fine restaurants, such as Macheneyehuda, Chakra, or Adom. * Stroll along Ben Yehuda street or the “Old Train Station” (HaTachana in Hebrew) at night. * The next morning, get an early start and hit the viewpoint of the Old City and the rest of Jerusalem from the top of the Mt. of Olives. Most tour buses from your ship in Ashdod will head here first, and half of them will get stuck in traffic due to the vendors’ harassment, small parking lot, and narrow streets. If you get a late start, skip the viewpoint and instead make it your last stop of the day. * If you want to see Jerusalem from a Jewish perspective, tour the Old City Jewish Quarter in depth. This includes the Herodian Mansions, Hurva Synagogue, Cardo, Broad Wall, Four Sephardic Synagogues, Western Wall, City of David, Davidson Center and Western Wall and its Tunnels Tour. Add a museum at the end: Either the Israel Museum with the Dead Sea Scrolls or Yad Vashem Holocaust Museum & Memorial. * If you want to see Jerusalem from a Christian perspective, don’t miss Garden of Gethsemene, the Bethesda Pools, Via Dolorosa (Way of the Cross), Church of the Holy Sepulchre, Garden Tomb, Arab Souk, Western Wall, Temple Mount, Mt Zion and its tombs, rooms & churches. Add one of the two museums mentioned above OR the City of David, which includes the Siloam Pools. * If you just want an all-around tour, do a walking tour of all four quarters, the Church of the Holy Sepulchre, Western Wall, Temple Mount, City of David, and one of the museums. Gene, now that you’ve got the makings of a great couple of days in Israel, my guess is you’ll have no problem finding four more people from your cruise who would like to split the cost with you. In fact, I bet the rest of the ship will be jealous when you come back and tell them everything that you managed to accomplish in such a short time. Read Joe’s Insider’s Guide to Israel and his Insider’s Guide to Jerusalem. Great information! Any suggestions on a hotel for the one night in Jerusalem? What great advice! I just saw your response and I can’t thank you enough. You are truly a treasure trove of wonderful information. Thank you.